Each poem is tenderly crafted, reflecting Dan’s extraordinary capacity to notice and value even the most subtle and transitory movement in a child’s face, indicative of what might be going on inside him or her. The poems rveal his profound understanding of the pain, hurt and yearning fostered and adopted children carry with them, and the strength and courage it takes them to begin to believe that some adults can actually be trusted. Dan Hughes also shares with the reader what triggered him to write many of the poems, giving us an intimate understanding of how he views children, relationships, the demands working with trauma places on professionals and the centrality of empathy in all our interactions. 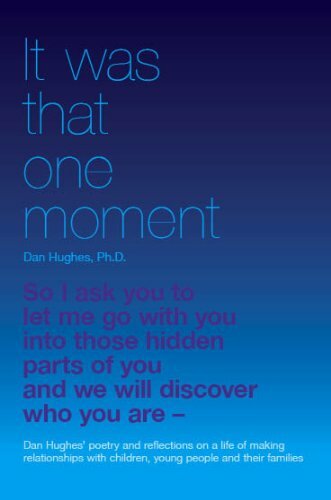 A book for anyone who has learnt from or been moved by Dan Hugghes’ work or Dan Hughes himself.